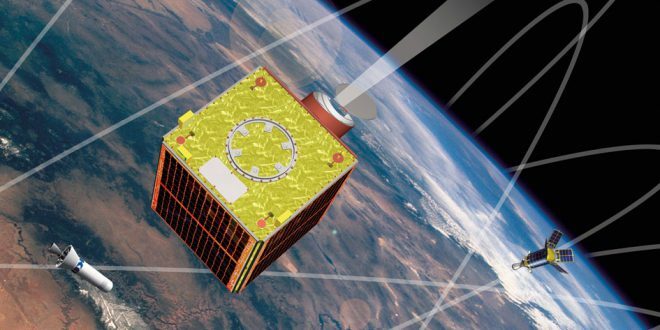 The government has indicated that it considers space-based radar an important part of the nations space infrastructure and is planning to replace RADARSAT-2 with the RADARSAT Constellation Mission (RCM). RCM represents a significant change in the government’s approach to space-based radars. Firstly it changes the business model from a commercially provided service to a government owned service, and it moves from a single satellite model to a constellation of satellites, while maintaining data to users, both government and private sector. The Canadian Space Agency indicates that RCM will be able to monitor Canada’s maritime approaches at least daily and cover the Northwest Passage and arctic up to four times a day18. From a DND perspective this new approach will enhance its ability to share data with allies, add resilience to the system and introduces a very robust satellite surveillance capability. This year Defence took a major step forward in preparing for the launch of the RADARSAT Constellation Mission by initiating the acquisition process for the Polar Epsilon 2 (PE2) project. A Request for Information was issued in late 2013 for the PE2 project stating that the project “will include, but is not limited to, the data reception antennas, the SAR data processor, the AIS data processing service, telecommunications hardware, data exploitation software, and data links between multiple stakeholders’ facilities.19” As of December 31st 2014, there has been no indication that an RFP or contract had been let. Collocating the satellite ground terminal with the task force allows the imagery to be delivered to the end-user minutes after its taken. Commercial satellite imagery is now of a very high quality (down to 25 cm resolution). The satellites can be easily tasked (some commercial operators will allow their satellite to be tasks minutes prior to an acquisition). There is no requirement for robust rear-link communications to get the imagery downloaded out of theater to the Task Force. The images are unclassified, allowing them to be shared with mission partners whether they are close allies, members of a coalition that don’t have the appropriate security clearances or first responders, in the case of disaster response. URSA did not see any deployments in 2014. The concept of employment for URSA is new to the CAF, although the United States have had similar systems in service to great effect since 1996, and some time is required to develop appropriate tactics, techniques and procedures before the system can be fielded in support of exercises or operations. With the establishment of a Director of Space Operations and Readiness, who will manage the capability for the Commander Canadian Joint Operations Command, 2015 should see URSA contributing to CAF operations. To effectively operate in space, or any environment for that matter, a military commander must be aware of his assets, those of his friends and potential adversaries, of any hazards the environment might pose to his operations and how the environment might be changing over time20. Space Situational Awareness therefore is critical to any nation exploiting space for national security, not just in the context of protecting on-orbit space systems, but in maintaining the advantages that space brings to traditional military operations21. Space surveillance also allows a commander to assess whether a space event that affects his or her mission was a natural or man-made event and if it was accidental or deliberate. US STRATCOM Space Control and Space Surveillance. Credit: U.S. Strategic Command. The CAF is making a significant contribution to Space Situational Awareness, arguably the core mission of any military space program. Much like most space systems the Canadian Space Surveillance System is made up of two major components: one space and the other a ground segment. The space component is the Sapphire Satellite that was launched on February 25, 2013 and became fully operations in May that year. One component of the ground segment is the Spacecraft Control Facility, located at the MDA in Richmond BC, which is responsible for the operations of the satellite to include uploading of the satellite taskings and image processing. The CAF operates the Sensor System Operations Centre, located at CFB North Bay ON, which manages taskings and correlates, manages, archives and forwards Sapphire data to the United States Air Forces Joint Space Operations Center. The Canadian Forces reported in 2014 that Sapphire was exceeding its design specifications and is making a valuable contribution to the United States Space Surveillance Network22. 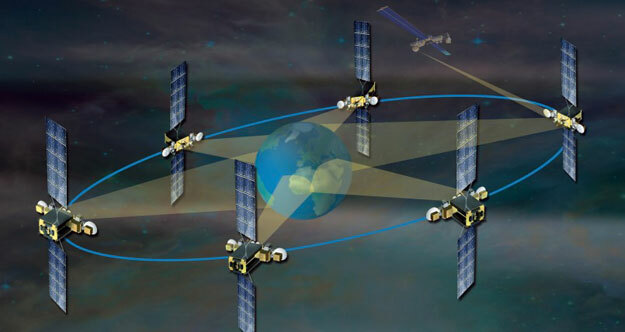 The United States Air Forces Space Surveillance Network is made up of ground-based radar and optical sensors as well as several space-based sensors. In general terms, the ground-based radar sensors are used primarily for detection and tracking of low earth orbit objects and optical sensors are primarily focused on objects in medium and geostationary earth orbits. Sapphire is one of five space-based sensors used to monitor satellites and debris. The United States Air Force operates the Space-Based Satellite Surveillance satellite (launched in 2010), two Geosynchronous Space Situational Awareness Program23 satellites (launched in 2014) as well as the Space Tracking and Surveillance System Advanced Technology Risk Reduction Satellite (launched in 2009 and transferred to US Air Force Space Command in 2011). The Space Based Satellite Surveillance (SBSS) satellite is a capability similar to Sapphire, but significantly more expensive, at well over $800 million US24. SBSS has been somewhat controversial, with numerous schedule and cost issues. Aviation Week reported in 2014 that the Geosynchronous Space Surveillance Awareness Program, a previously classified US Air Force program, may have been a response to the concerns around the cost of the SBSS25. If that is the case, Sapphire, and any follow-on mission, could provide an operationally effective and cost efficient solution to support the medium and geosynchronous satellite surveillance mission and would remain an important part of the overall Space Surveillance Network for years to come. As successful as the Sapphire satellite is, it does have a finite design life and a replacement project is listed in the Defence Acquisition Guide as the Surveillance of Space 2 project26. According to the Guide, Surveillance of Space 2 should enter the project definition phase in 2015 with a delivery as early as 2021, a full eight years after Sapphire’s launch, which was has a five year design life27. However, given the heritage of Canadian micro-satellites (both SciSat and MOST are operating 10 years after launch), Sapphire should remain operational until a replacement capability is developed. Interestingly, the Guide indicates that either a space-based or ground-based solution could be considered. Canadian industry will no doubt be anxiously awaiting the release of a Request for Information / Proposal to see what form the Surveillance of Space project will take. Communications are the backbone of any military command and control. The ability to reliably communicate, when and where needed has been the foundation of the DND’s satellite communications acquisition program for many years. For military purposes satellite communications are divides into three broad categories: Protected, Wideband and Narrowband. Protected satellite communications are designed to provide global, survivable, highly secure communications for strategic command and tactical war fighting28. In practical terms for the CAF this means that forward deployed units (both land and sea based) can remain in contact with higher headquarters even if they are faced with communications jamming and / or are required to maintaining a discrete communications profile. The CAF aptly named Protected Military Satellite Communications (PMSC) project, leverages the United States Air Force’s Advanced Extremely High Frequency satellite project29. In 1999 the Canadian government signed Memorandum of Understanding with the US Department of Defense to become a partner in the AEHF system. The cost to Canada to gain assured access to the constellation was $252M30 . AEHF, once fully deployed will consist of a constellation of four satellites, with two spares. The system is somewhat unique in that, once all four satellites are launched, they can operated almost anywhere in the world without having access to anchor stations. All four satellites include a satellite crosslink, meaning that communications can pass directly from one tactical unit through two or more satellites to another unit half-way across the global, a huge advantage for command and control, survivability and operational flexibility. The AEHF Program is one of the most complex and expensive satellite communications program ever undertaken by the USAF, with program costs reported at $13.16B (US)31. The project suffered from several delays, with the first launch in 2010 being four years behind schedule. The second and third satellites were launched in 2012 and 2013 respectively, with the launch of the fourth satellite scheduled for 201732. The AEHF system achieved its initial operating capability in 2013 once the third satellite completed its on-orbit check-out. AEHF system. Credit: Lockheed Martin. The second phase of the PMSC project, approved by the government in 2003, addresses the acquisition and installation of satellite terminals at cost of $300M. Although details of this project are difficult to confirm it is clear that contracts were let by Defence Construction Canada for two facilities in the Ottawa area, one at CFS Leitrim and the second at Shirley’s Bay33. In addition, land and sea-based terminals were acquired. The DND’s Report on Plans and Priorities for 2014-2015 indicates that the project is on budget with a some program slip being experienced in the naval refit schedule, especially for the Victoria class submarines. Notably, Canada was the first allied partner to test its AEHF system using a Secure, Mobile, Anti-Jam, Reliable, Tactical-Terminal (SMART-T) in June of 201334. 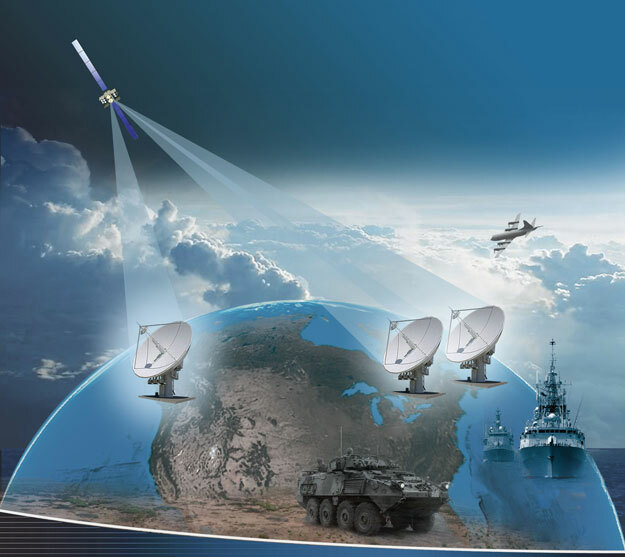 Wideband satellite communication is the workhorse of the command and control for military operations. The ability to move large amounts of data across the globe to support deployed forces has huge advantages and, in many ways defines how western militaries fight modern conflicts. Operational, intelligence and logistic data can be easily moved from military planners to tactical units irrespective of the distances, significantly reducing the in-theater footprint of a deployed force. Traditionally, the CAF relied on both long and short term commercial leases to provide wideband satellite communications. In 2009 a thorough examination of its growing satellite communications needs was initiated. With the planned growth in the use of satellite communications, driven by modern command and control requirements, the extensive use of “reach back” intelligence, the planned introduction of unmanned systems (air, land and sea) and the integration of satellite communications to almost every echelon of the military, the annual cost for commercial satellite communications was estimated to reach up to $100 million per year35. As a result, the Mercury Global project was initiated as way to satisfy the growing demand for global satellite communications at an affordable price. As its name implies, Mercury Global was stood up to deliver global, assured access, wideband satellite communications at government reserved frequencies (Mil Ka and X bands) both at home and abroad. For Canada, unlike most countries in the world, domestic operations often require the use of satellite communications. The Mercury Global project team, after reviewing industry replies from a Request for Information, determined that partnering with the United States Air Force on their Wideband Global SATCOM project was the most cost efficient way to meet the CAF global communications needs and in 2012 signed a Memorandum of Understanding with the United States Air Forces to become a partner in the Wideband Global SATCOM (WGS) program36. Artist concept, Mercury Global Project. Credit: General Dynamics Canada. The WGS program is a constellation of satellites that provides communications services in government reserved X and Ka frequency bands. Each of the WGS satellites provides more communications bandwidth than the entire constellating it was designed to replace. The United States Air Force has invested a significant amount of resources in the development of WGS, reportedly up to $3.730B (USD) and has a constellation has 6 satellites on orbit, with contracts set to expand the constellation to 1037. The program has a strong international pedigree, with Australia joining in 2006 with an agreement to fund the sixth satellite in the constellation. Canada, Denmark, Luxembourg, the Netherlands and New Zealand partnered in 2012 to fund a satellite. Canada invested in WGS 9 for a fixed price of $337.3M for 20 years of access to the entire constellation38. At the time that Canada joined the WGS program, DND was spending approximately $25M per year on commercial satellite communication services. By any measure the CAF investment in WGS will more than pay for itself, especially given the expected growth of the use of satellite communications. At $100M per year in projected satellite communications spending, the government covers its costs in three and a half years of cost avoidance. Interestingly, this past year the US Department of Defence concluded a study that indicates commercial SATCOM is four times more expensive than WGS39. In July the US Department of Defence indicated that it is considering delaying the launch of WGS 9 and 10 to re-profile the $400M expenditures to launch the satellites. As of December 31, 2014 no official announcement on the proposed delay had been made, nor what effect that decision might have for the international partners. Although CAF tactical units have been accessing WGS since 2012, connecting the satellites to national communications infrastructure requires the building of dedicated ground stations. In November, the government announced that General Dynamics Canada won a contract to deliver the ground segment of the Mercury Global project40, valued at $59.1 million, with an additional $8.5 million for an in-service support contract. The General Dynamics press release states that the in-service support contract is for up to 17 years, indicating there is an initial in-service support period, with options for renewal41. None of the press releases indicate the duration of the initial in-service support contract. The Government press release notes that General Dynamics will build anchor stations at three separate site in Eastern, Central and Western Canada, with General Dynamics indicating seven anchors stations. Details of the exact location of the anchor sites and their configurations were not available as of December 31, 2014, however, given the existing CAF communications infrastructure in Masstown, NS, Ottawa, ON and Aldergrove, BC, these site could be good candidates. Rounding out the CAF’s SATCOM requirements is the Tactical Narrowband Satellite communications project. Tactical Narrowband communications, also known as Ultra-High Frequency (UHF) SATCOM, is known as the war-fighters SATCOM. In practical terms, many mobile communication devices use UHF frequencies, from cordless phones, cell phones, walkie-talkies and military man-pack radios. These radios can be quite compact, support both voice and data communications, but are limited by the need for a direct line-of-sight between the two radio. To provide additional range or overcome an obstacle like a mountain, military UHF radio will often use an airborne relay to allow ground units to communicate effectively. UHF SATCOM provides access to the ultimate overhead relay. The CAF does not have routine access to UHF SATCOM but can access US military or commercial UHF SATCOM when conducting exercises or operations. The Defence Acquisition Guide indicates that the Tactical Narrowband Satellite Communications (TNS) project is currently in the options analysis phase and is scheduled to enter a definition phase in 2017. Project costs are estimated between $500M and $1.5B, which probably reflect the very broad range of options being considered by the department42. Although details of the analysis are not available, based on allied UHF SATCOM projects, options being studied could include the acquisition of a dedicated UHF satellite, a hosted payload or a partnership. The Australian Defence Force (ADF) acquired UHF SATCOM capability by hosting a satellite payload on a commercial communications satellite. Intelsat’s IS-22, which launched in March 2012, hosts the Australian UHF payload at a reported cost of $167M (USD)43. Total program costs were reported by the Australians at $269M (AUD)44. Although a single hosted payload did provide the ADF with an effective regional capability, the CAF requirement is for a global solution that would need two or three hosted payloads. In February, Lockheed Martin indicated that it was looking at establishing a WGS-like international partnership to fund the construction of a sixth next-generation UHF satellite45. The Mobile User Objective System (MUOS), as the system is known, is an extremely capable system, able to provide simultaneous voice, video and data for mobile tactical applications. Open sources report that a MUOS satellite is approximately $311M (USD – FY1), plus launch46. An interesting fact that Lockheed Martin is promoting, is that MUOS has a demonstrated capability to provide some limited high arctic communications47, given its slightly inclined orbit. However, the partial availability of MUOS in the arctic would not meet the CAF requirements for 24/7 Tactical Narrowband SATCOM, providing only slightly more temporal access (about 4 hours a day) than a traditional geosynchronous communications satellite. The Defence Acquisition Guide also indicates that the Polar Communications and Weather (PCW) Satellite could provide a solution for the CAF’s UHF SATCOM requirements and provide a solution for the gap in Wideband SATCOM in the Canadian Arctic. TNS and PCW have very similar timelines within the Guide and the TNS preliminary budget estimate is well within the PCW estimate of more than $1.5B. Most communications satellites are in a geostationary orbit, essentially parked at 35,786 km over the equator. That orbital position allows for the satellite to appear to be stationary when seen from the ground, a clear advantage for a communications satellite. However, because of the curvature of the earth geostationary communications satellites cannot provide communicate services reliably above approximately 70 degrees north or south for mobile platforms or above approximately 75 degrees north and south for fixed communications. Back in 2008 the Canadian Space Agency initiated a study to determine if a constellation of two satellites could provide continuous communication and weather imaging services similar to those available at lower latitudes. The conclusion of the study was that the Polar Communications and Weather constellation was feasible48, however the project never progressed beyond the definition phase. Artists concept of PCW. Credit: Canadian Space Agency. In November 2013 Public Works and Government Services Canada (PWGSC) issued a Request for Information for the Polar Communications and Weather project, with responses due in January of 2014. In the Summary of the RFI responses published by PWGSC, 20 companies provided responses to the RFI. The report indicates that industry believes that the PCW technical risk is acceptable and manageable, with that the weather payload posing the greatest risk to the proposed schedule and, given the proposed timelines, a capability could be deliver 5 to 6 years after contract award49. Canadian industry was well represented in the RFI process with the largest space companies joining forces on the project. The team is led by Telesat, one of the world’s leading global satellite operator and according to its CEO, is offering a “made-in-Canada solution that is compatible with how the government has been thinking about how to leverage defense procurement to stimulate innovation and high value jobs in Canada.” MDA is considered Canada’s premier space system company and its ownership of US-based Space Systems Loral, one of the largest communications satellite manufacturer in the world, provides it with a clear strategic advantage. COM DEV has a worldwide reputation for designing and building highly reliable space systems and hardware, and have supplied technology to 80 percent of all communications satellites ever launched50. Following the receipt of the RFI responses, the government’s PCW team would have examined the various options provided by industry, developed options for consideration and developed a business case for consideration by the government. In a presentation by Environment Canada to the World Meteorological Organization in June, they indicate that options and the business case were to be presented to the government by the autumn of 201451. As of the December 31, 2014 there had been no further information was made public by the government. This year should see the continued development of the CAF’s military cadre, especially as they build capability to support the commander of Joint Operations Command. As well the Unclassified Remote Sensing Situational Awareness Capability may see its first operational deployment. Options analysis may be completed on a number of projects including Surveillance of Space 2 and the Polar Communications and Weather. Both the Polar Epsilon 2 and Mercury Global projects should enter their implementation phase. And of course, 2015 will see a federal election campaign. With the announcement that Canada has joined its closest allies in the US-led Combined Space Operations, will the government want to provide additional resources to enhance its national security space capabilities, especially in areas where Canadian industry holds a strong competitive advantage? 2015 could be a very interesting year for the CAF Space program.